How much food do you put in your trash can or send down the garbage disposal? Either way those food scraps are heading for the landfill. Sorting your food scraps for composting is an easy way to make a big dent in the amount of trash you produce (see my post, “How Much Garbage Do We Produce?” to find out how much your family produces!). When we first composted we were worried about bugs and critters as well as smells. We didn’t have any problems with any of it at all! 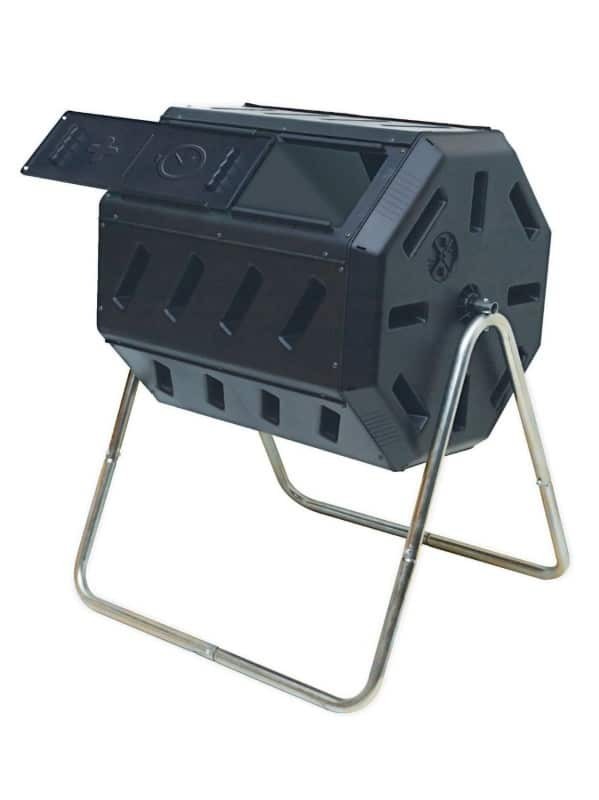 This composter is a great size for a family, keeps food scraps securely inside (while still allowing needed air circulation) and is made from a durable recycled plastic.